Guylain Vignolles lives a dull life and barely interacts with anything. His job at a book-pulping factory leaves him feeling empty and feeling sick. But each day, sitting on the 6.27 train each day to go to a job he hates, he reads aloud to fellow passenger’s scraps of pages he’s saved from the pulping machine. It is his one pleasure in life. But when Guylain discovers a dairy belonging to a woman named Julie – a woman who appears to feel as lost in the world as he does – Guylain feels inspired to try and find her. I found The Reader on the 6.27 quite a slow read for the first half of the book but then sped through the last 100 pages. I think it’s because the book is kind of split in two – before Guylain has read Julie’s diary and after. Before, he lives a life where he’s very apathetic towards everything, he hates his job and doesn’t have anyone except his goldfish – he, much like his life, was a bit boring. Once he reads Julie’s diary it’s like he has a new lease of life. He becomes more motivated and, to me, a lot more interesting. The Reader on the 6.27 has moments of pretty dark humour which was a surprise, especially as the book is from Guylain’s perspective and he doesn’t really come across as a witty or humorous guy. The description of the book-pulping factory is very vivid and often quite disgusting. There’s mentions of rats that have got squished in the book-pulping machines teeth and the machine does seem to be its own ominous character. It feels like a real threat not only to Guylain’s safety but to his sanity as well. 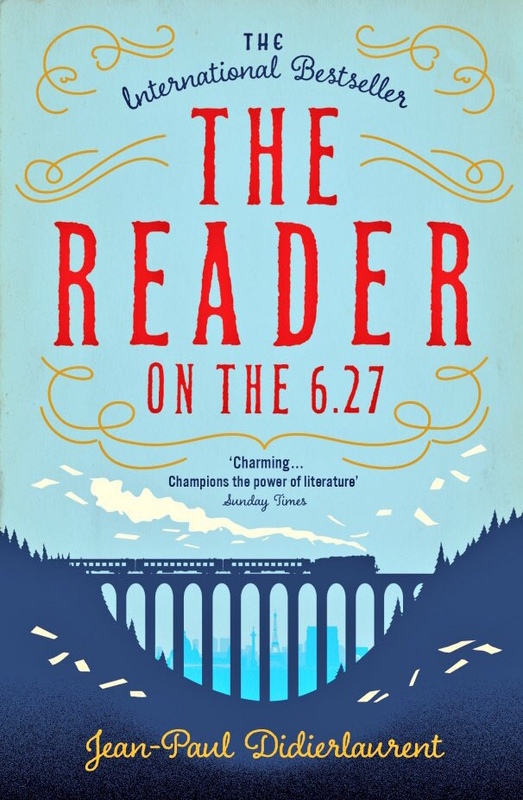 The Reader on the 6.27 is a short book and is well-written but it’s not a story that will stay with me, especially as for most of the book the main character was impassive and bland. Though I do realise Guylain’s boringness was probably intended as it was clear there was a marked difference in him not only when he read Julie’s diary, but when he started to socialise with people in general. Still, it was too little too late for me.